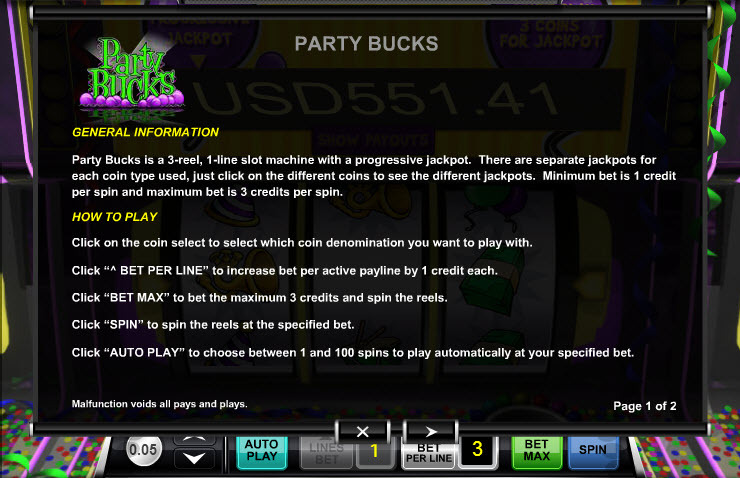 Overview: Have a blast playing Party Bucks, a 3-reel, 1-line slot machine with a progressive jackpot. The game has a very cheerful and festive party theme, so be prepared to line up those balloons, hats and horns for a potentially big blowout. Bet 1-3 coins whose denominations range from 0.05 to 5.0. The different coin denominations have entirely separate jackpot amounts. 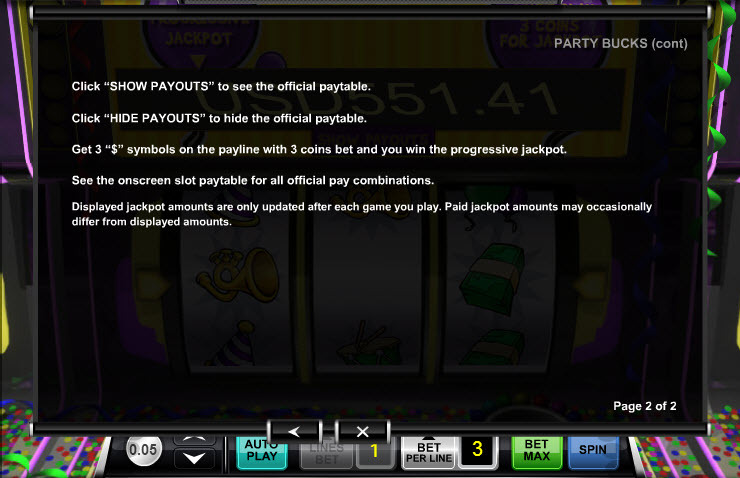 To be eligible to win a jackpot, players must make the maximum 3 coin bet. 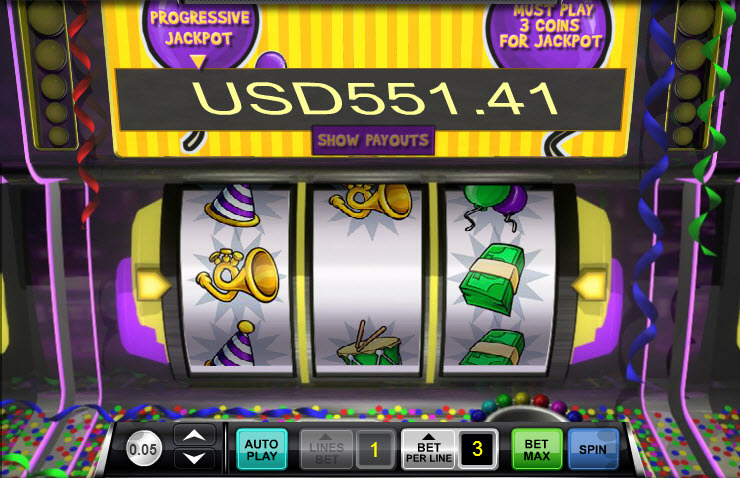 Get 3 $ symbols on the pay line to score the big bucks and get a party of your own started with a single spin. Select the Auto Play feature for the game to spin the set number of spins for you while you limbo, spin the tail on the donkey, and party the day and night away. Similar Slots: If you like Party Bucks, you might like these other slot machines from Ace Gaming: Black Magic, Coral Cash, Fast Lane, Fruit Fuzion, Heaven Cent.